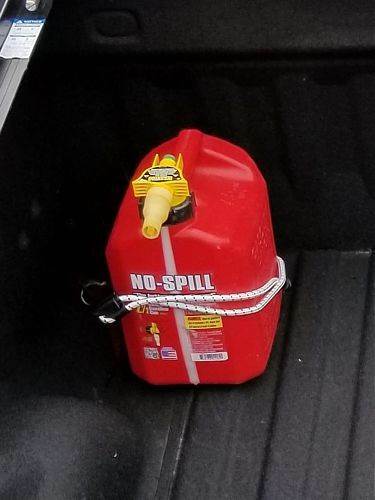 Ever try to secure a container, cylinder or package in your pickup truck bed using the standard hooks or anchors provided by the manufacturer? Never a consistent or easy process! 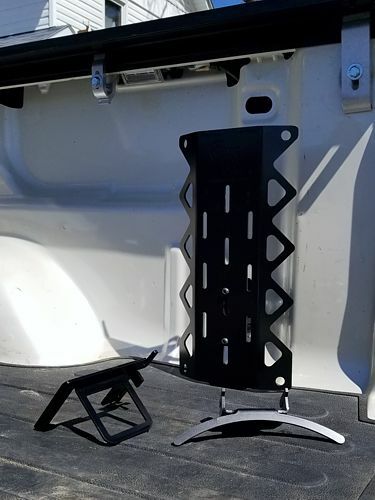 CargoPost solves this problem by providing a light-duty and secure fixture to attach your valuable cargo to in order to prevent damage to your cargo or truck bed. 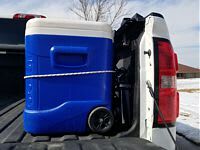 CargoPost also allows you to secure cargo without getting into your pickup box. 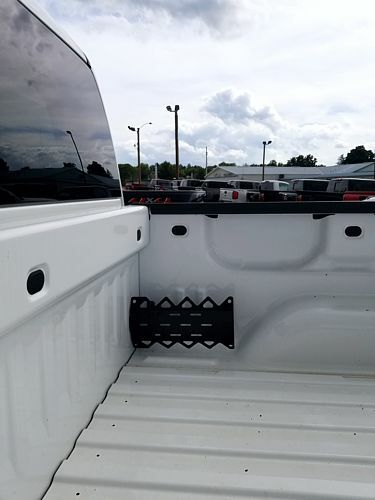 With simple installation, CargoPost fastens to ANY of the stock cargo hooks or anchors in the corners of your pickup truck bed with just one bolt! 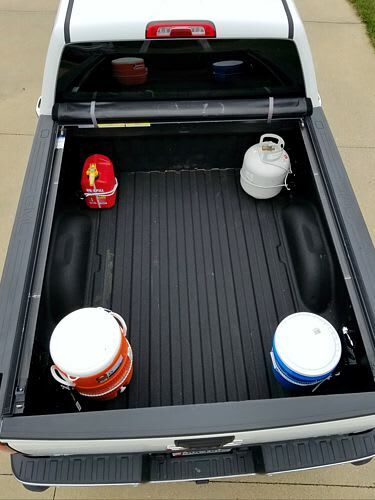 Install a CargoPost in all 4 corners of your truck bed without losing ANY of your flat storage space between the wheel wells! 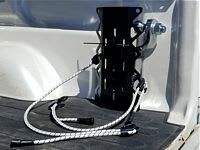 While CargoPost can be installed in light, medium and heavy-duty pickups for ALL makes and models of pickup trucks, Easy Installation can be used on. The factory pre-installed cargo hooks/U-bolts for the model years listed below make installation of CargoPost quick and easy … in as little as 5 minutes! See install instructions provided. (* Also known as a rivet nut or blind rivet nut.) 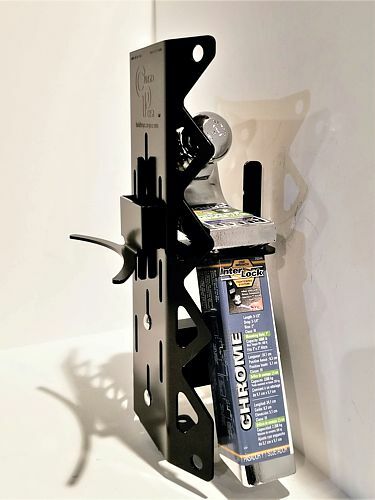 CargoPost comes with complete hardware and instructions to make it easy to manually install in pickup trucks without the pre-installed cargo hooks/U-bolts. 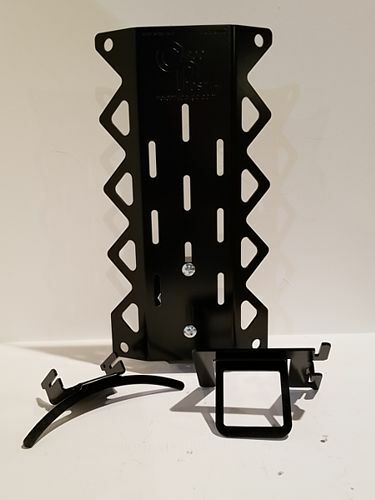 CargoPost can also be mounted in other vehicles such as all years of other brands of pickup trucks with the use of the special fasteners and accessories provided. CargoPost comes with multiple mounting options for endless applications almost anywhere in the truck bed on the sidewalls. 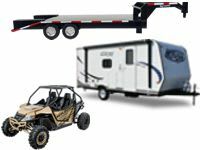 Other uses include but are not limited to: Flatbed trailers, Enclosed Trailers, RV’s, UTV’s - the options are endless! Standard hardware and fasteners are included with the basic CargoPost kit. All components are constructed with1/8-inch steel construction for strength and durability. 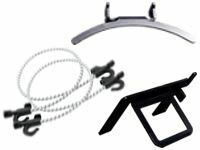 All hardware and fasteners for easy complete installation on all brands of pickup trucks come with the basic CargoPost kit. Extra fasteners may be required depending on your application, such as on a metal or flatbed trailer. Order YOUR CargoPost NOW and protect BOTH your cargo and truck bed with the NEWEST truck bed organizer and storage solution. Service Area: Dubuque, Cedar Rapids, Rockford, Washington IA, Iowa City, Beloit, Moline, Delaware IA, Dekalb, Cedar Falls, Muscatine and surrounding communities. © 2018 - 2019 CargoPost LLC, All rights reserved. Page Summary: CargoPost also known as Cargo Post offers truck bed storage, pickup truck accessories, truck bed cargo organizer and truck bed cargo management. Products such as cargo containment system, pickup truck cargo, pickup bed cargo management as well as cargo holders for pickup trucks are also part of the scope of our business. We also specialize in load tie downs, bed cargo management in Dubuque, Cedar Rapids, Davenport as well as Madison. Other areas we serve include Rockford, Washington IA, Janesville and Iowa City. We also service Waterloo, La Crosse and beyond.